I spent the last couple of days reading Alice Sebold’s wonderful novel, “The Lovely Bones.” In looking at Sebold’s chart (birth time is not known, source of birth date/place: Wikipedia) there are many wonderful astrological correlations. The Lovely Bones is the story of 14-year-old Susie Salmon who we find out in the first chapter was raped and murdered and is now narrating the novel from her place in heaven. It is a very sad and poignant story of a family torn apart by their loss, and also the story of a teenager (Susie) who has had her life cut short and is forced to watch her loved ones, and the life she was not able to live, from the remote distance of the afterlife. The tone of the novel is elegiac and melancholic, but there is also redemption and a lot of heart. When I look at Sebold’s chart the biggest thing that jumps out at me is that she is born with Saturn square Neptune. This is the combination of the division between heaven and earth, and it perfectly reflects the central motif of the novel. It reminds me a lot of Wim Wender’s film “Wings of Desire,” which explored the suffering of an angel (Neptune) who was “trapped” (Saturn) in heaven (Neptune) and wanted to come to Earth (Saturn) to have the human experience. This is what Susie feels in her heaven: a sense of loss and grief over being cut off from the human experience she watches below on Earth. Both Wender’s film and the Hollywood remake, “City of Angels” came out under subsequent Saturn-Neptune alignments in 1987 and 1998. There is also a way in which The Lovely Bones is a ghost story, and Saturn-Neptune is the combination of ghosts and ghost stories (blending Saturn’s relationship to death and the material world with Neptune’s relationship to that which transcends death: spirit). In the novel Susie is able to fully feel and participate in the lives of people down on earth, and a number of the other characters are able to feel her presence or even see and talk with her. It is not the scary feeling of being haunted that these characters feel, but a more benevolent form of the Saturn Neptune archetype. The Saturn-Neptune archetype relates to the potential for spirit participating in the material world, and this can either have a positive healing potential as with Susie Salmon, or it can be the scary hauntings of ghost stories. We see Saturn-Neptune in the natal charts of Edgar Allen Poe (Quoth the Raven “Nevermore”) in Alfred Hitchcock, and in more recent Filmmakers known for their ghost stories: M. Night Shyamalan (“The Sixth Sense”) and Alejandro Amenabar (“The Others”). Another clear motif of the Saturn-Neptune complex is the quality of mourning, melancholy, and grief that pervades the whole novel. Saturn-Neptune is the archetype that most relates to the grieving process, and you very often see it (in natal charts or transits) when this is a dominant theme. Elisabeth Kubler-Ross is born with Saturn square Neptune, and she is of course famous for writing about the stages of the grieving process. 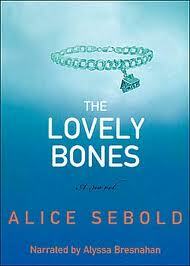 And Sebold’s novel is a vivid embodiment of these stages of grief. People born with Saturn-Neptune hard aspects are more likely to reflect on the meaning of death. 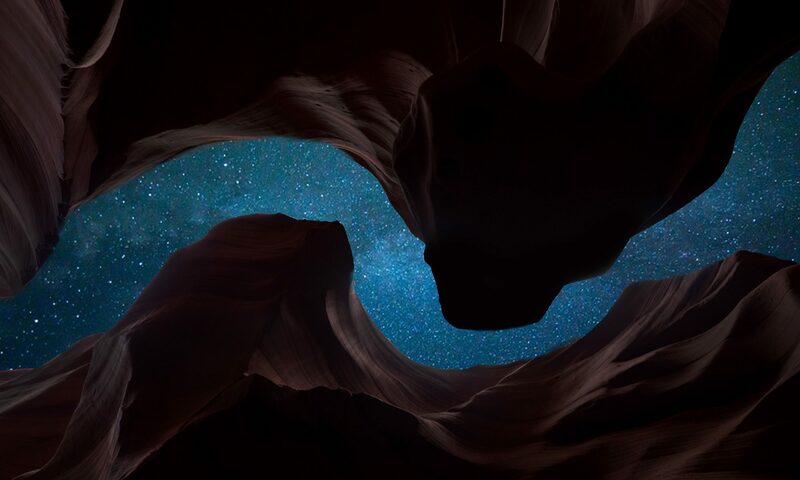 The imagination (Neptune) is more likely to flow towards Death (Saturn), and there may be more desire to explore the possibility of life after death. We see this in Ken Ring (born in 1935 with Saturn opposite Neptune) who has written about the compelling research into the Near Death Experiences (NDE’s) where individuals at the moment of death (before being brought back to life) famously report being pulled towards a tunnel of spiritual light. The other major alignment in Sebold’s chart that is clearly coming through in her novel is her Sun-Venus-Pluto-Uranus quadruple conjunction. The emphasis on Pluto has the negative potential for major encounters with the underworld, the shadow, and the monstrous. There are of course many positive potentials for these Pluto alignments, but in her novel they largely come through in darker ways. The Sun-Pluto archetype can be the “Dr. Jekyl and Mr. Hyde” archetype, or the “Hero struggling with the Shadow,” and in the book we see it in the character of George Harvey who is responsible for Susie’s murder. In this character we see someone who has totally been possessed by his shadow impulses, and who is doing enormous destructive damage to others. This is obviously an extreme form of the Sun-Pluto complex, but it is an archetype that represents the universal human struggle with the dark forces of the psyche. Sebold’s Venus-Pluto conjunction comes through in the novel as a literal playing out of the Persephone (Venus) Hades (Pluto) myth. Harvey literally takes Susie down into the earth (into a dark underworld cave that he has built) to commit his crime. As with any powerful novel such as this, there are many more correlations to explore, but I will end this post here for today. I am finally venturing forth into the world of blogging! My intention in these posts is to share with you my daily practice of Archetypal Astrology. This is the practice of seeing the gods alive in the world through the lens of the astrological archetypes. There are three main forms of practice: what I call “Natal Chart Yoga,” “Transit Yoga,” and “World Transit Yoga,” which I also call “New York Times Yoga,” or “CNN Yoga.” By “yoga” I simply mean “spiritual practice,” and I am referring to the way in which the practice of astrology transforms consciousness. What before was a simple New York Times headline, through astrology, now becomes an entryway into a form of spiritual awareness. I will share more thoughts on the essence of this discipline, which I learned from Richard Tarnas, in future blog posts, but for now I want to dive right into what’s grabbing my attention today. 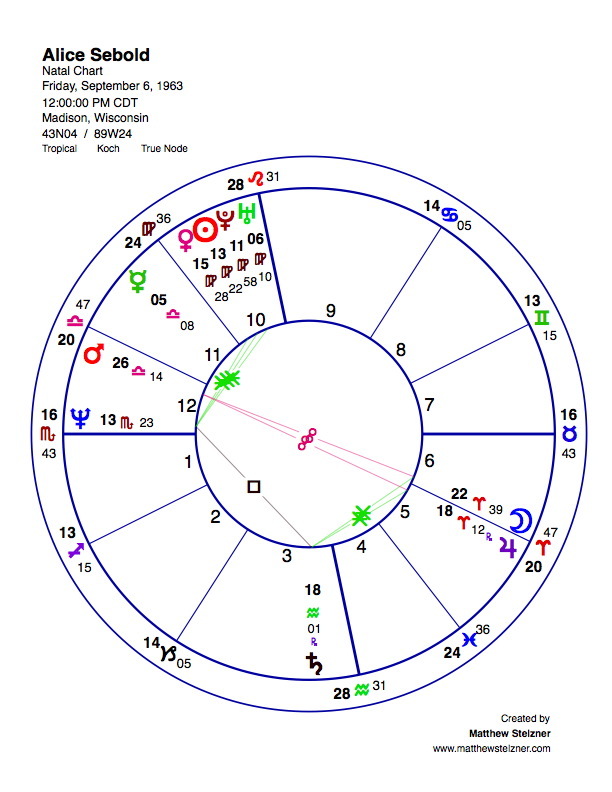 For an archetypal astrologer like myself, yesterday’s story of Bill Clinton negotiating for the release of the imprisoned journalists in North Korea is filled with the potential for exciting correlations. What are the alignments in the sky for all of us that would fit such a dramatic and positive story? What are Bill Clinton’s transits? What are the journalist’s transits? Whenever there is a powerful story like this that is charged with meaning and clear archetypal themes, it is a great opportunity for finding dramatic correlations. I want to just share some brief thoughts here. We have two major collective “World Transits” that are happening right now that could not be any more different. 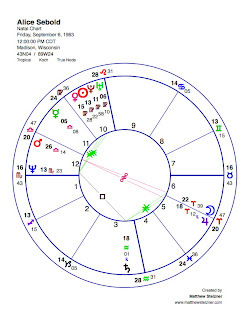 First we are in the midst of what has been called a “Depression T-square” formation: the first time since the 1929-1932 period that there is a T-square of Saturn, Uranus and Pluto in the sky (operative from 2008-2011). Many pages could be written about this alignment, but it is an extremely dynamic/stressful formation and it has everything to do with the recent period of global economic crisis, and the sense that many of us have that we are in a period of collective birthing pains, where revolutionary forces are struggling to birth new structures, but are meeting the mass scale resistance of the forces of the old guard. This alignment can have a simultaneous quality of crisis and crisis-management (Saturn-Uranus), revolutionary upheaval (Uranus-Pluto), and deadly seriousness (Saturn-Pluto). We have seen these qualities recently in the unfolding dramas in Iran and Honduras, but they are also clearly evident in the escalation of tensions resulting from the nuclear tests in North Korea earlier this spring. And so it is this T-square pattern that I would see as correlating with initial conviction of the journalists in North Korea. This alignment has a great potential for stories of harsh punishment (Saturn-Pluto) and crackdowns (Saturn-Uranus), and also the general quality of an escalation of global tensions and crisis. But it is the other major collective alignment, a once-in-thirteen-year Jupiter-Neptune conjunction (evident from the beginning of 2009 until early 2010), that fits the “happy ending” quality to the story. Jupiter-Neptune is the archetype of spiritual redemption, restored faith, hope renewed, and I would say it relates to a potential for a kind of general faith in the positive forces at work in the cosmos. We saw it coming through clearly earlier this year in the successful emergency landing of the plane in the Hudson river. The archetype has a very noticeable quality of benign grace, and it is clearly evident in this happy story of two innocent women rescued from cruel punishment. 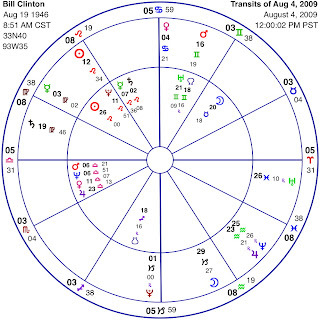 But the immediate question I had as an astrologer when I saw the story was “What are Clinton’s transits?” I was thinking to myself that the former president must really be loving this one: getting to play the rescuing hero on the global stage. The story is so dramatic that it has the potential for bringing a kind of collective forgiveness and redemption for his past sins. Before I looked up his chart I thought that he must have some powerful transit involving his Sun, as he is shining so brightly in the story, and the archetype of the hero is coming though so strongly. Indeed, when I saw the transit, it made perfect sense, Clinton is getting the once-in-a-lifetime transit of the collective Jupiter-Neptune conjunction (the “world transit” most relevant to this happy story) directly opposite his Sun (Jupiter and Neptune are also forming a transiting grand trine pattern with Clinton’s natal Jupiter trine Uranus–another fantastic transit). In recent months both Jupiter and Neptune have been sitting within one degree of his natal Sun, and thus this whole year for Clinton has the potential to be a kind of personal spiritual redemption. Just the Jupiter-Sun transit alone (a particularly powerful one, as Jupiter stationed exactly opposite his Sun) is the alignment for the “successful hero,” but with Neptune, it becomes much more poignant and there is this deeper potential for a kind of personal healing (as in the healing hug with Al Gore). This is a classic case of a collective “world transit” lining up as a strong personal transit for one of the individuals involved in the story. This is the kind of thing that we see all the time, and it illustrates the artistic beauty that is at work in astrology.